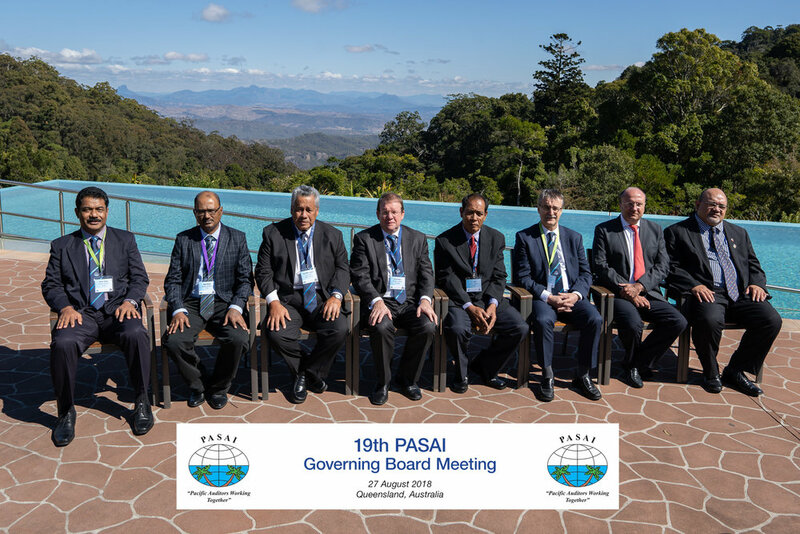 The Pacific Association of Supreme Audit Institutions (PASAI) held their 21st Congress at O’Reilly’s in Queensland, Australia from 28 – 20 August 20-18. Attending the Congress were over 60 participants representing 19 member SAIs, development partner organisations and international bodies supporting the work of PASAI in meeting its strategic plan, and PASAI’s Secretariat along with other observers. The Governing Board of PASAI held their 19th meeting on 27 August 2018 before Congress began, with chairmanship handing over from Tuvalu’s Auditor-General, Eli Lopati, to Grant Hehir, Auditor-General of Australia. Attendees heard from SAIs and innovators from around the region on the many initiatives being undertaken to gather and analyse data in practical, useable ways, from the visual management of critical medical data in the Tuapai Project as presented by Dr Michael Nunan to the suite of tools being used by Queensland Audit Office to filter, analyse and present information in their audit reporting. The Pacific SAIs were represented by Samoa and Fiji, who both demonstrated that the progress, challenges and issues faced by small Pacific islands were the same as those faced by the more developed SAIs in Australia and NZ. From the international SAI perspective, IDI’s Archana Shirsat presented the INTOSAI Professional Education for SAI Auditors (PESA), and spoke of the wider use of e-learning technology in global programs that can be utilised effectively within SAIs to avoid costly travel and lack of connection. Chuck Young of the INTOSAI Journal underlined this further, describing how ‘The communications field is rapidly changing, and the deluge of information demands that we present our work in a clear and concise way’ with an introduction of the Journal’s ‘Fast Facts’ initiative. Congress delegates discussed their own local challenges and triumphs. They agreed that, while they are all at different stages in this journey into embracing the digital future, the mutual sharing of data analysis experience will benefit all SAIs. By allowing them to ‘leapfrog’ older, slower pathways, this shared learning could enable them to identify effective strategies and contemporary data analysis tools so that SAIs remain relevant in this challenging age of digital transformation. In turn, this could strengthen accountability and transparency across the region. Oher main strategic issues that were discussed include progress of SAIs in conducting SAI PMF assessments and reports, status of Financial Statement of Government audits, and quality assurance program for SAIs. There was also an opportunity for members of ACAG and PASAI to hold their own meeting to discuss and collaborate on future twinning opportunities. Hosted by the Australian National Audit Office, Congress and Governing Board participants enjoyed true ‘Aussie’ hospitality, including a traditional ‘barbie’, a lyrical and traditional welcome from Aboriginal leader Luther, and close contact with some Australian wildlife – including a tall Kangaroo, in the form of Australian NRL legend, Petero Civoniceva, who broke the record for the most international matches for Australia of any forward in history. PASAI looks forwards to next year’s 22nd PASAI Congress to be hosted by Fiji SAI in Nadi Fiji. Meanwhile, the full communiqué from Congress 2018 can be viewed here. 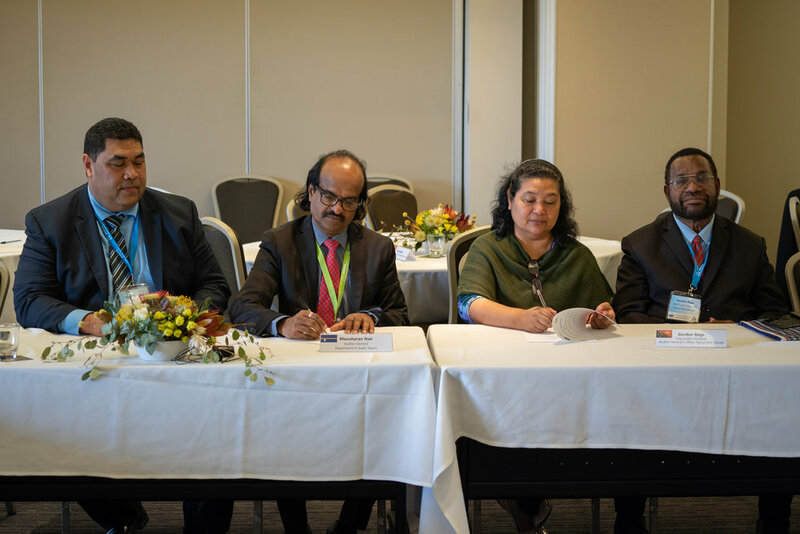 During the Congress, there was an opportunity for Heads of the SAIs of Nauru and PNG to sign a Memorandum of Agreement (MOA) with PASAI and ADB (Tuesday 28 August 2018). One of PASAI’s Strategic Priorities is to work with Pacific SAIs to achieve high quality audits, particularly Financial Statements of Government (FSG). With the particular support of ADB, PASAI has been able to design a suite of programs and interventions for the two SAIs to achieve this. The technical support includes a South-South cooperation initiative to Nauru SAI called “Financial Audit Secondments Technical Support” or “FASTS program”. Three secondees from PASAI Pacific members each spend a month in Nauru providing support, capacity building and mentoring to Nauru Staff to complete the FSG audit of 2015/2016. Further training in fundamental auditing and a SAI Performance Measurement Framework assessment will also be delivered by PASAI to Nauru SAI. Priority targets identified for PNG SAI include a revision of the audit methodology for the audits of FSGs. To reinforce sustainability and compliment this technical support, short-term Consultants will be engaged in both Nauru and PNG. PASAI acknowledges the Australian Department of Foreign Affairs and Trade (DFAT) and the New Zealand Ministry of Foreign Affairs and Trade for their valued support with PASAI’s 21st Congress, the ongoing support of DFAT, MFAT and ADB over the years to assist with the implementation of PASAI’s strategic plan and ANAO for planning and organising an outstanding event for Congress 2018.